There has not been much success in Sin City recently on the football front, well let me rephrase that, on the college football front at least. Meanwhile, Tony Sanchez has won six straight state titles at Las Vegas high school powerhouse Bishop Gorman. Now? Sanchez takes over the Rebels and brings a steady infusion of energy to a program that desperately needed it. 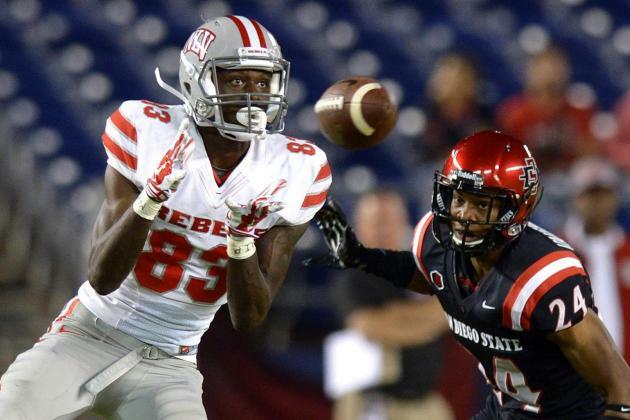 UNLV can at least boast a star receiver on this offense. Devonte Boyd is probably the second best receiver in the conference behind Colorado State All-American Rashard Higgins. Boyd caught 64 passes for 973 yards last season, and was unquestionably the biggest, and potentially only, bright spot on this offense. Blake Decker also had his moments under center, but he had far too many for opposing teams as well. Decker did throw for nearly 2,900 yards and 15 touchdowns, and ran for an additional 566 yards and 5 touchdowns. However, he also threw 18 interceptions and took 34 sacks. Those numbers absolutely have to come down or it will be another long year in Las Vegas. Keith Whitely was not bad running the football last season, but his main running mate Shaquille Murray-Lawrence is gone. Whitely rushed for a respectable 504 yards on 118 carries (4.5 ypc), but only punched in two touchdowns. He needs to up that total to offset the loss of Murray-Lawrence’s nine rushing touchdowns last season. Of course, it’s hard for any of these guys to be playmakers if the line isn’t any good, and that might be a reality in 2015. The Rebels are facing a pretty significant rebuild up front. The only guys on the roster with significant starting experience is RG Ron Scroggins, who has 25 career starts. Beyond that, LG Eric Noone has six career starts and LT Kyle Saxelid has five. That’s it. This group will have to seriously outperform expectations in 2015 or offense will again be a struggle. Neither line has much returning in the way of experience, but the linebackers at least return everything. Four linebackers return who saw action in every game last year, and three more who played in seven or more games. The star of the group is Tau Lotulelei, who had 10.5 tackles for loss and three sacks last season. Tau is not related to Carolina Panthers DT Star Lotulelei, but he does have an older brother, John, who plays linebacker for the Jacksonville Jaguars. Cornerback is a bit of an unknown, but the Rebels should be pretty well set up at safety with Peni Vea, Blake Richmond, and Kenny Keys. Vea was especially solid blitzing from his safety spot and coming up in run support as he recorded 7.5 tackles for loss and 3.5 sacks. Torry McTyer and Fred Wilson will start at cornerback, but only McTyer played significantly last season. Ok, now back to the inexperienced line part. Sonny Sanitoa is the only returning starter on the defensive line. He also happens to be the only returning defensive lineman to record a sack last year. He had two and a half. That’s not much to go on up front. This group will have to find some new sources of production and fast or the back seven will get left out to dry next season. I said in the intro that Sanchez had brought a much-needed infusion of energy to this program. That is true, but sometimes it takes more than energy to win games. Much like I wrote about AAC teams like Tulsa and SMU, it just takes time when an overhaul of this magnitude is required for the wins to return. UNLV is no exception. 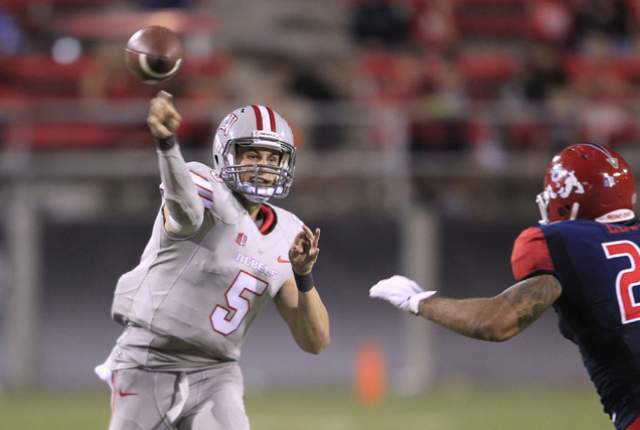 They do have a non-conference game against FCS Idaho State that ought to be a win, but there isn’t much else in the way of guaranteed victories. 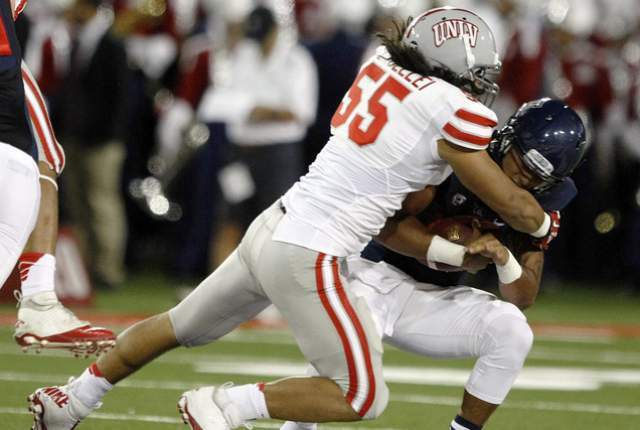 The Rebels should be eyeing home dates against San Jose State and Hawaii as the best chances to pick up additional wins.